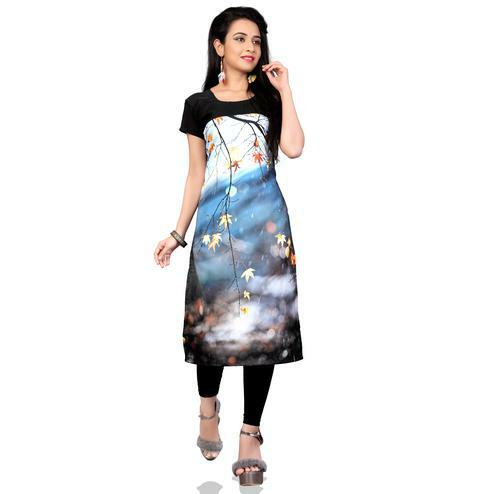 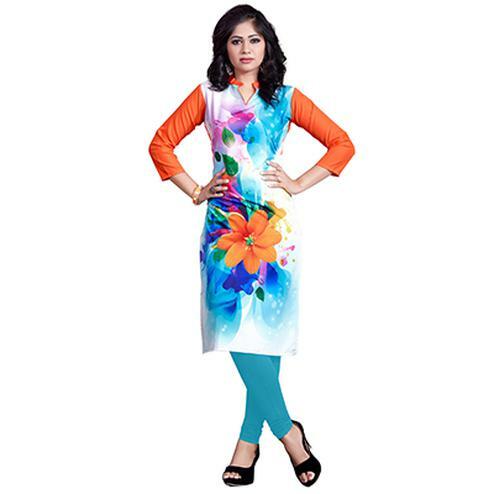 This multicolored sleeveless kurti is designed using crepe fabric having floral digital prints and solid color hem. 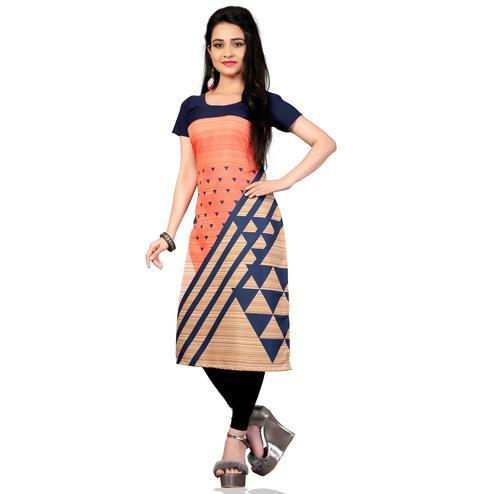 This ready to kurti is made out of crepe fabric which is easy to maintain and care. 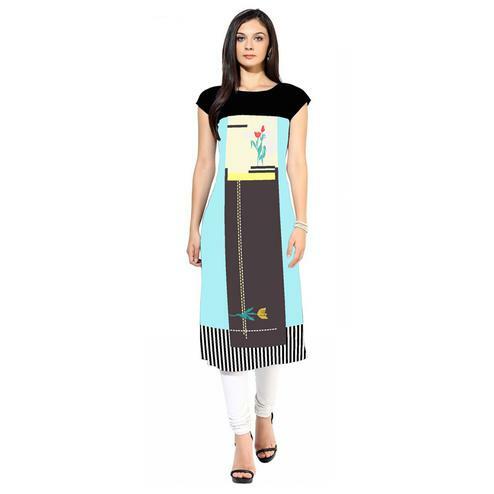 Dress it up by pairing this kurti with matching bottom.